A rustic still used in the mountain villages of Flores to produce “arrack”. 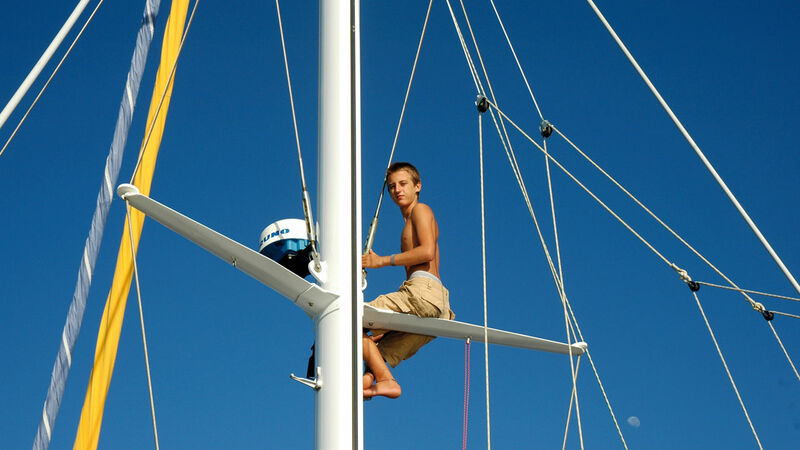 Jangada, Olivier’s catamaran is continuing its family cruise around the world. 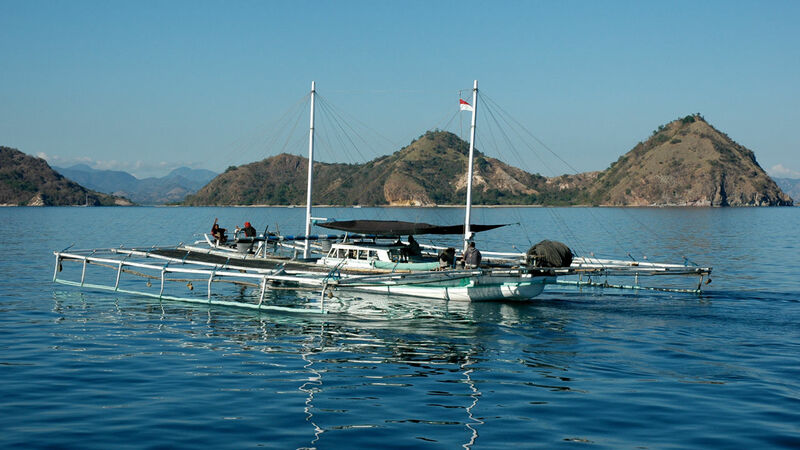 They are still discovering the incredible Indonesian archipelago which is made up of more than 17,000 islands! Create a notification for "Indian ocean"
Just after breakfast we approached the bay. Clear blue zones indicated where the shallows were. We slalomed between the reefs and dropped anchor in the lee of a rocky outcrop which stuck out a few dozen meters from the shoreline. The children that were playing on the beach had stopped their games to watch this unknown boat that was mooring in their waters. I checked out the situation through the binoculars and decided to go on land and do a recce. The kids had their heads in their schoolbooks onboard… On the beach, everyone was staring at me. I greeted the children and joked with them, which is the best way to get the parents on your side. “Hello Mister, hello Mister!”. All Indonesian children have learned this greeting. However, the further one gets from Bali, the less English there is spoken. I responded with "Selamat Pagi! Selamat Pagi!" which means “hello” in the morning, but which changes as the day advances. Once my fan club had been able to confirm that I wasn’t an alien, they helped me drag the dinghy onto dry land, and we were off on an exploration of the village. It was certainly no Maurole or Mausembi, which are situated a bit further west around the bay! We could only communicate through gestures. The houses were simple, no real comfort, just the bare minimum. This is deepest Indonesia, a long way from the tourist spots of Labuan Bajo, Lombok or Bali.